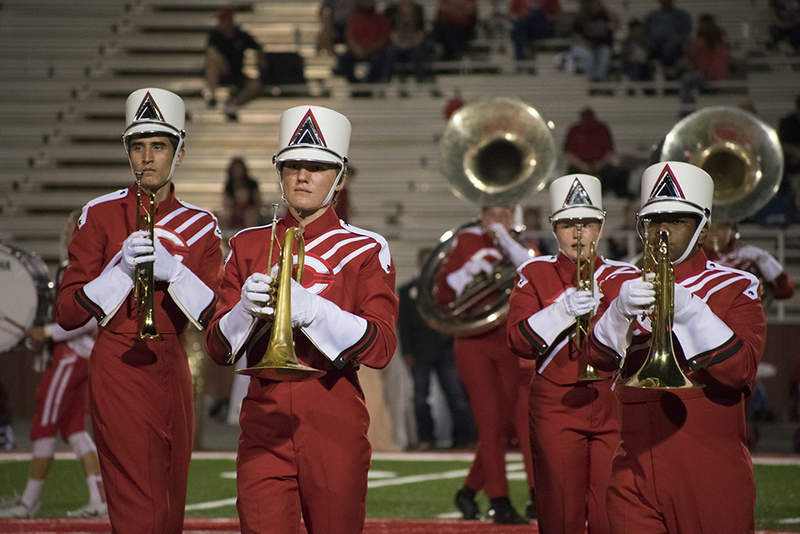 The Coahoma Big Red High School band will head east Monday to the Big Country Marching Festival in Abilene to test out its 2018 UIL marching contest show. For this year’s show, Landin picked a challenging piece, “Dreams of Persia” by Randall D. Standridge. As part of the appeal for choosing the piece, the solo arrangement for the first movement was written with more than one instrument in mind, Landin added. Senior Andrea King also performs a flute solo in the show. Adding to the difficulty, the percussion drill design is more intricate than in past shows but with four seniors in the mix - Joe Manning, Bryson Cline, Jackson Muller, and Andrew Romero - Landin said he feels they are up to the challenge. This year’s 82-member strong band is led by Drum Majors Micah Worley, Naomi White, both seniors, and Ashley Mull, a sophomore. Kira Landin is the assistant band director and Gina Orosco oversees the color guard. Coahoma will head to UIL Regional contest on Oct. 20, at Ratliff Stadium in Odessa. Although 2018 is an off-year for Class 3A state marching contest, Landin said band members are just as focused on fine tuning their routine to ultimately earn the coveted Division I rating. In the past six years under Landin’s leadership, the band has qualified for area marching contest three times and earned three sweepstakes.